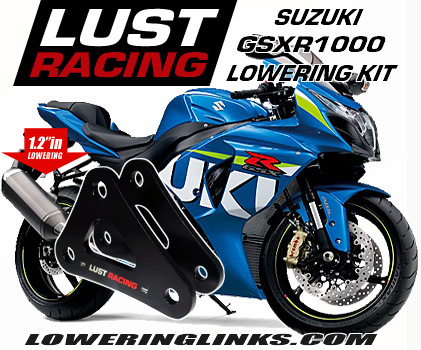 Suzuki GSX-S750 lowering kit. 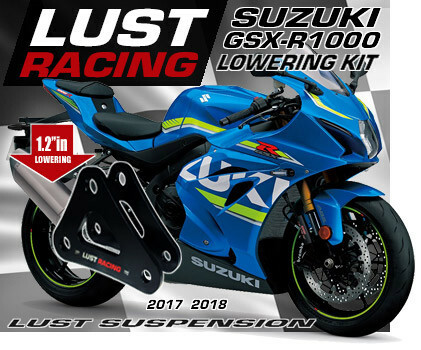 1″ inch lowering kit for the new Suzuki GSX-S750 lowers the rear suspension and the seat height by 1″ inch. High quality lowering kit made in roll forged steel stronger than standard parts replaced. Excellent modification for shorter riders who otherwise struggle to reach the ground with both feet. Designed, engineered and manufactured in Europe by Lust Racing. 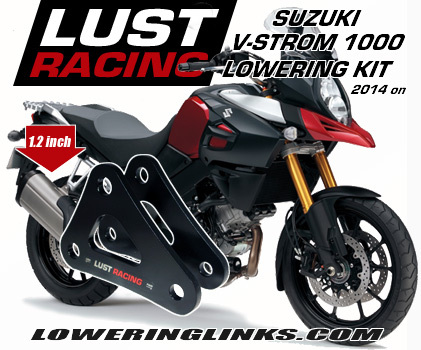 Lowering kit for Suzuki GSX-S750 2015 onwards. Lowers the rear suspension and the seat height by 1″ inch (25mm). High quality lowering kit made in roll forged steel stronger than standard parts replaced. Will last the life-time of your bike. 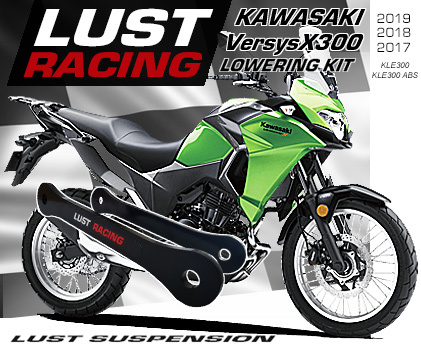 Designed, engineered and manufactured by Lust Racing – Europe’s leading manufacturer of high quality motorcycle lowering kits. 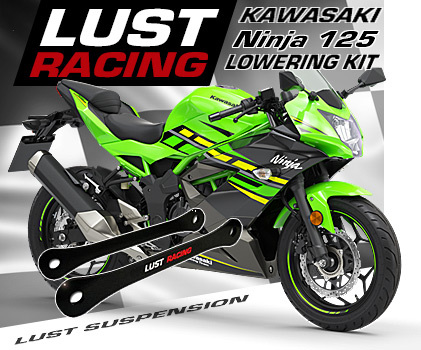 Supplied complete with detailed installation instructions.Excellent accessory for shorter riders, lowers the seat height on the Suzuki GSX-S750 by 1″ inch. If you struggle to reach the ground with both feet when coming to stops in crossings and traffic lights this kit will resolve the issue. Gain confidence and enjoy riding your bike, get time to focus on the surrounding traffic instead of worrying that you could drop your bike when coming to a stop. Lowers the rear suspension by replacement of the suspension links in the rear suspension. Front forks are lowered by adjusting the fork legs upwards in the triple clamps (adjustment only no additional parts required). High quality lowering kit made in SS400 high tensile steel, stronger than standard parts replaced. Powder coated for excellent corrosion resistance and long lasting luster. Supplied complete with installation instructions covering installation of the kit and lowering of the front forks. Our low price includes world wide shipping!